Over the last couple of days, I’ve made my first couple of gear mods. 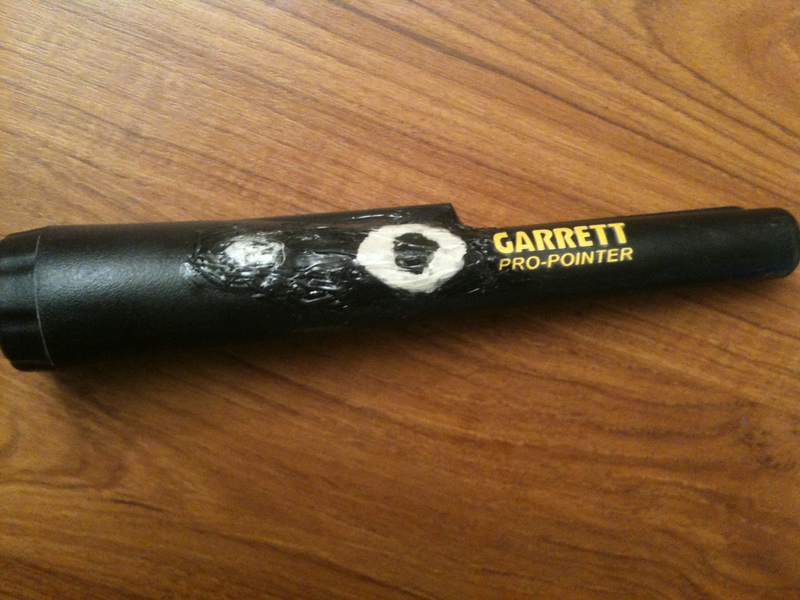 The first was a homemade waterproofing of my Garrett Pro-Pointer. To do this, I put non-hardening plumber’s putty on the threads of the battery compartment, and also into the speaker port and around the on/off switch. 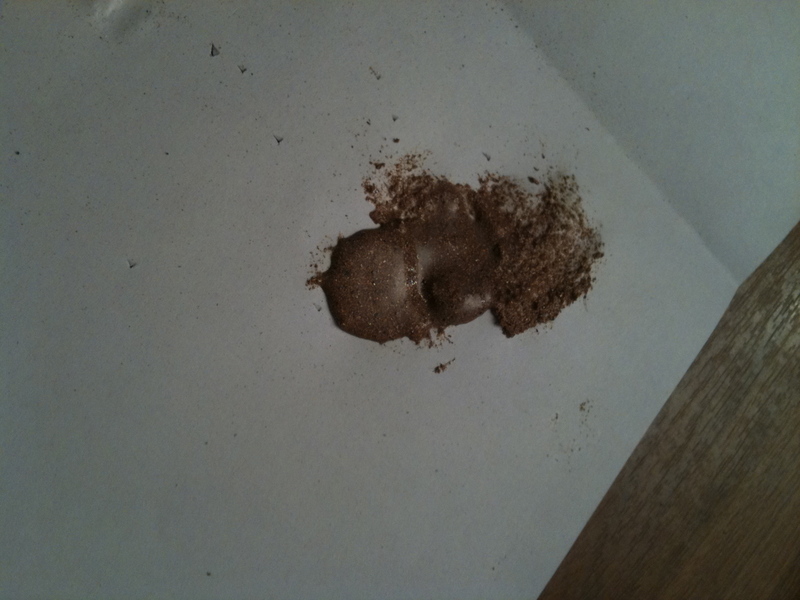 Then I covered the latter two areas and the lightbulb with a flexible, waterproof sealant similar to goop or RV sealant. 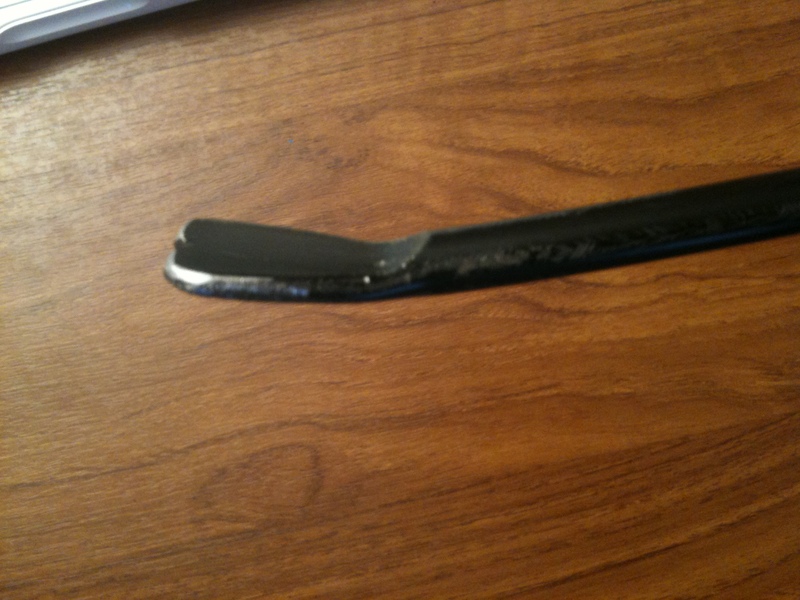 I borrowed the idea from Beau Ouimette’s YouTube video: http://www.youtube.com/watch?v=S_1iYI8M0co. Joined with the waterproof AT PRO and waterproof headphones, I will be ready for completely submersible hunting (important for UK rainstorms). The next project I took on was to make my own coin popper. In an earlier post, I talk about the value of the popper as a coin recovery tool, particularly in areas where shovels are a no-go. 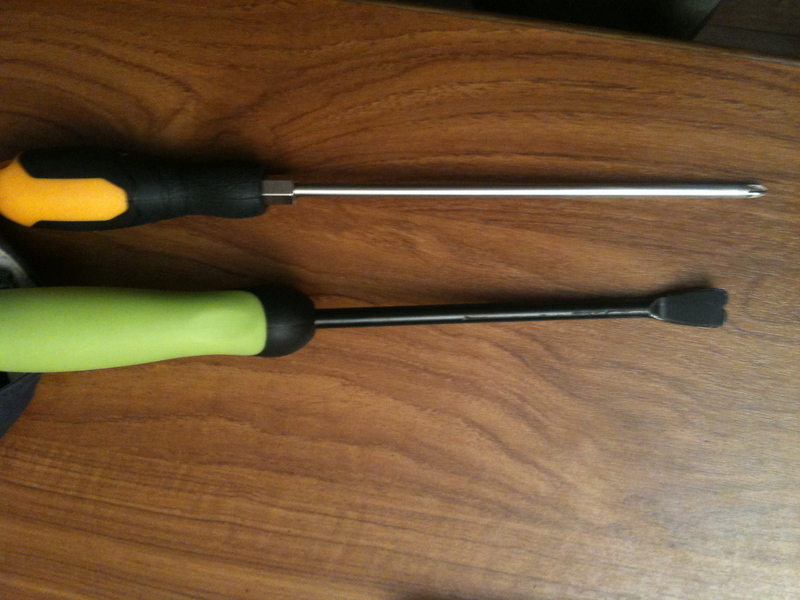 To make the popper, I bought a weed/root popper from B&Q and filed smooth the tines, as below. I also filed a phillips head screwdriver to a blunt tip, to be able to use it as a coin probe without scratching the targets. Coin popper detail: The final project was to prepare an ore-analogue for inclusion in a test garden that Kurt and I will be installing at his place. We will post more on this topic soon; essentially, a test garden allows you to get to know your detector well in tightly controlled conditions with various objects buried at known depths. 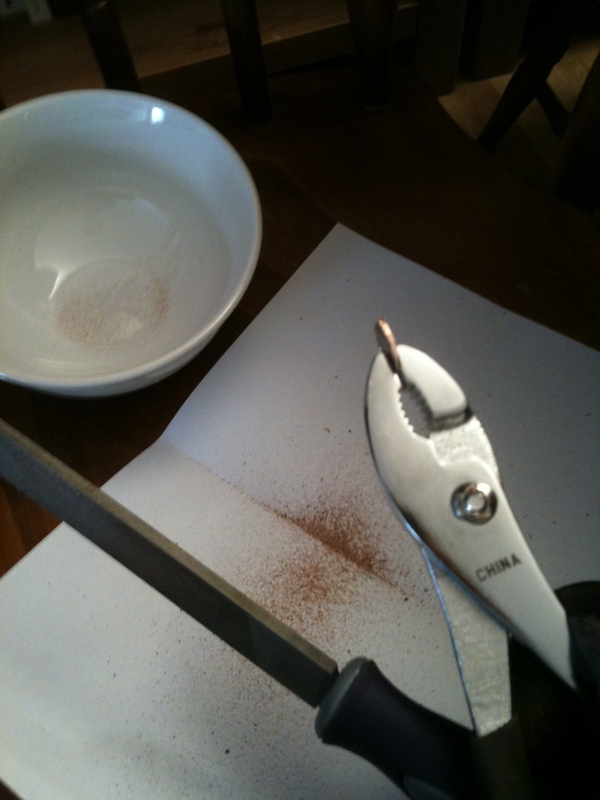 In their You Can Find Gold With a Metal Detector, Charles Garrett and Roy Lagal recommend grinding down a penny to copper dust and then agglutinating the dust into a ball; placed in the ground, this will simulate an ore deposit for your detector. It took some time, but I used a hand file to reduce a penny to dust (for legal reasons, I will omit to say which currency the penny was drawn from. Suffice it to say it was mostly copper as opposed to non-copper alloy).